Cross every item off your to-do list when you work with the team at The Yard Barber, LLC. From lawn care to snow removal, we finish your job right the first time. 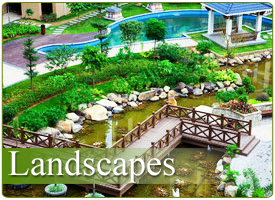 Breathe new life into your flowers, trees, and shrubs with our landscaping services. We take your yard to the next level and have options to fit every budget. You deserve quality time with your family and friends, and you don’t need to be slaving way in the yard. With help from The Yard Barber, you don’t have to! You get what you pay for with us – competitive rates, top quality service and reliability in a company that can’t be matched by anyone else. From lawn renovations to snow removal, we even offer full service contracts – maintenance and landscaping all in one! Locally owned and operated – and we keep growing! We care about YOU. 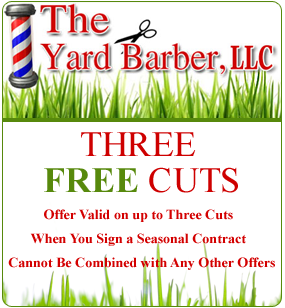 As a customer with The Yard Barber, you will be treated like family. You can rest easy knowing we’re there to help you every season, every year, with peace of mind that we will make you and your yard happy. With us, you don’t need a guarantee. We know you’ll be satisfied when we finish the job right the first time! With over 45 years of experience, why would you trust anyone else? Become the envy of the neighborhood without emptying your pockets. With affordable pricing, exceptional results and dedication to your satisfaction, The Yard Barber is the perfect option for you. Want to see some of the outstanding lawn maintenance and renovations we’ve provided our customers? Check out our Photo Gallery! Kick your feet up and let The Yard Barber finish your to-do list! Call us today at 301-607-1099 to schedule a FREE estimate or to learn more about our maintenance contracts. 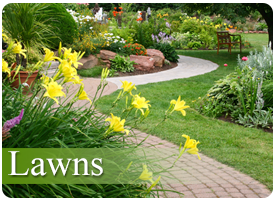 Contact us to request an estimate to transform your yard.